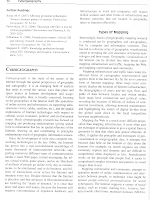 A re-written paper submitted for review for a theme issue in Geoforum. 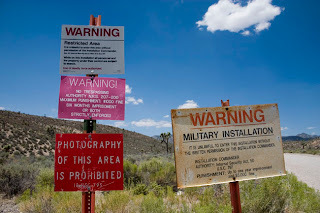 This paper documents and assesses emerging efforts to resist and subvert deep-seated and long-held governmental secrecy over geographical spaces of military/security activities and other sites deemed sensitive by the state. It explores tensions in new web-served mapping and high-resolution imagery of these sites, which view them though ‘pin holes’ of publicly available data. These ‘counter-mappings’ focus attention on the significance of sites that are either buried unnoticed in seamless global image coverage, or else censored on official mapping. Some reveal a strongly anti-hegemonic and oppositional discourse, others a more playful set of cultural practices. We situate these newly witnessed secret sites in contemporary visual culture, exploring the spectacular and Debordian possibilities of resistance that they offer, and evaluate the significance and ironies of these diverse imaging practices. 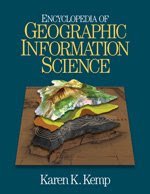 An entry on cybergeography that I co-wrote a while back for the Encyclopedia of Geographic Information Science, edited by Karen Kemp (Sage, 2007). Unfortunately, I only have a scan of the entry. 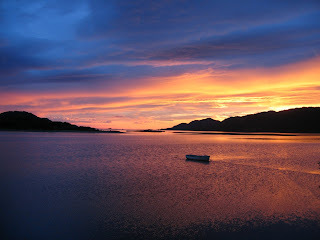 The view from Dorlin out across Loch Moidart and to the sea. 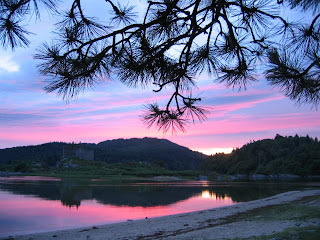 A view across to Castle Tioram. 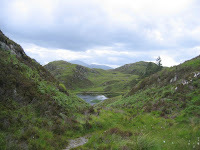 Some photos from my holiday in Scottish highlands last week. 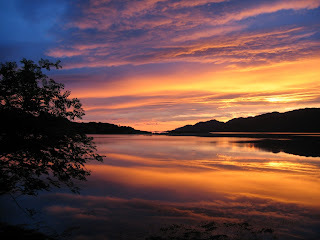 The cottage we were staying in on the Loch Shiel Estate. 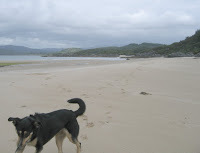 Messing about on the famous Singing Sands. 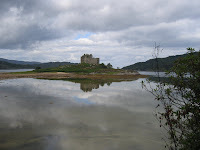 A view from shoreline to Castle Tioram. A view of the hills on the nice circuit walk around Dorlin.